Problem: What I would like is to be able to soar in the Spirit every time I pray, and come away brimming with faith. Are there steps to help make sure this happens? A prayer time where I don't feel I connect to God is very frustrating. Solution: We have created "New Creation Celebration" devotionals where you gaze upon your new creation self - who you are in Christ - until faith arises. These meditations are a coach at your side ensuring successful, transforming, healing, heart encounters, every single day! The steps you need to take to fully experience God's transforming power are included in each devotional. 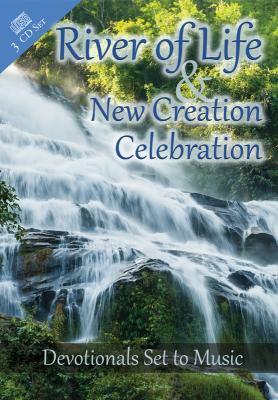 River of Life & New Creation Celebration MP3 Download Set or CD Set now available, as well as the accompanying book Unleashing Healing Power Through Spirit-Born Emotions! "We tried New Creation Celebration devotionals and loved them..."
Flexible time commitment - From twelve minutes to an hour depending on the devotional selected. Multiple learning modalities - The "New Creation Celebration" series provides recorded voice with a background of soft soaking music. Worksheets are available for journaling so you have memorials of your encounters with God. Click here for a five-minute Introduction which helps you get the most from this series (text copy here). As you drift off to sleep... You may choose to begin in the evening with the River of Life segment playing softly. In the morning select the New Creation Celebration segment which best meets the needs of your day. 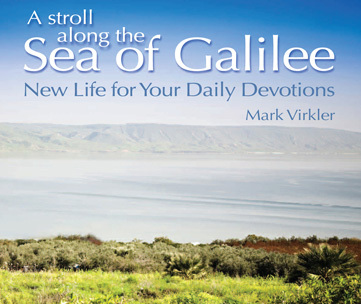 Connecting with the Holy Spirit is the most important step of our day (Gal. 5:25). Let's begin and conclude our days with the Holy Spirit. Your choice: Feel free to use worksheets and audio together, worksheets alone, or audio alone. You may choose to use the worksheets with some of your favorite soaking music. What is the value of having a journaling worksheet to assist me in my prayer times? Consider this: When you fly, are you glad your pilot uses a pre-flight checklist or would it be fine if he simply went from memory? Since he obviously has been well trained and is fully experienced in flying, isn't going from memory good enough? Do you see a value in him using his pre-flight checklist? If so, then know a devotional worksheet can provide similar value to you, allowing you to soar high in the Spirit and experience a full encounter with God's transforming grace, every time you pray. Helping your friends - You can easily help your family and friends encounter God powerfully every day by simply sharing this blog with them. When you have time, I recommend you begin with the 12-minute River of Life as an introduction to any of the other devotionals above. Yes, there are additional ways to pray. So check out this list of 40 prayer styles. 4 Keys to Hearing God’s Voice – Training on how to hear God’s voice so you can have daily communion with Him (E-learning module here). Discover how to easily, quickly hear His voice and see vision, so you can move effortlessly in flow with the Spiritual Transformations devotion. Counseled By God – Two-way journaling where God speaks to you about the beliefs and emotions you are holding (E-learning module here). Prayers that Heal The Heart – Expanded biblical training on the language of the heart, and seven prayers that heal the heart (E-learning module here). This will help you to understand the seven prayers we take you through in the Spiritual Transformations meditation. Greater understanding results in greater intention, which brings greater results. How to Walk by the Spirit – Explore 500 Bible verses on the Spirit, so you learn to comfortably walk by the Spirit (E-learning module here). Learn to live tuned to your heart. Take Charge of Your Health – Your body, soul and spirit are intricately connected, so keeping your body in optimum shape is part of keeping your spirit soaring (E-learning module here). When you fast, your health springs forth speedily (Isa. 58:6-8).